Nevr-Dull is an extraordinary cleaning wonder that shines all sorts of metals with sparkling ease. Each can has a generous supply of the original magic wad cleaning solution. 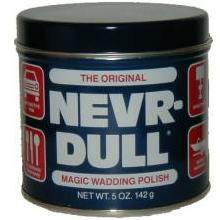 Nevr-Dull works instantly, and will remove tarnish and dirt. 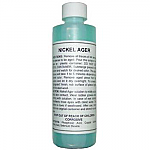 Once you use Nevr Dull on the metal wipe with a clean, dry rag. 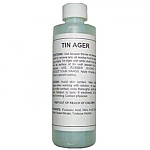 Polish for brass, gold, silver aluminum, copper, pewter, steel and chrome. Package contains one 5oz Can. Item ships same or next business day. 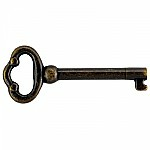 This item is $6.08 when your order exceeds $250 before shipping in qualifying items. 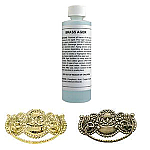 Hardware Tip: Metal polish comes in handy when you need to make an old piece of metal shine again.